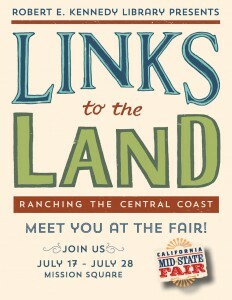 The exhibit “Links to the Land: Ranching the Central Coast” will be featured at the California Mid-State Fair July 17 – July 28. Experience the exhibit at the fair’s Mission Square. The exhibit draws from a wealth of material held by Special Collections and University Archives. 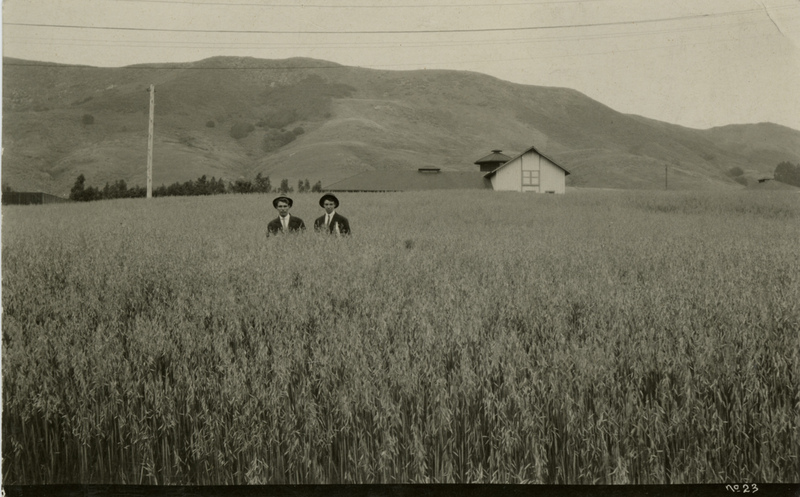 The links to the county’s agricultural heritage are revealed through these records and are essential to the documentation of the day-to-day life of farmers, ranchers, laborers, and Cal Poly’s century of agricultural instructional influence. From these historic records, scholars are able to piece together agricultural life on the Central Coast. Through oral histories and an array of illustrations and historic documents, the exhibit brings to life the culture of ranching and farming in San Luis Obispo County, highlighting the ecological stewardship of the land and examines the modern day impact of our local farmers’ markets. The exhibit is immeasurably enriched by the insights recorded in oral histories conducted with local farmers, market goers, and organizers. Please see the Links to the Land Collections for archival resources. Wonderful Thursday! It's 11:22pm right now.